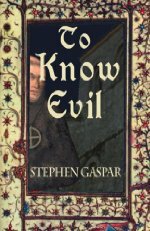 In the remote mountaintop monastery of St. Benedict, something evil is stirring. It is an ancient evil that predates Christianity and will live long after man has left this world. Brother Thomas of Worms can sense this evil, though he does not totally believe it is behind a series of murders that have plagued the monastery. With the help of young Brother Nicholas (who carries his own dark secret), the two uncover clues that lead to the discovery of long-lost ancient texts that could bringthe end of Christianity.